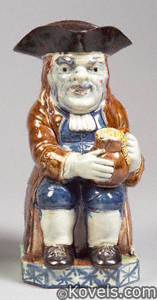 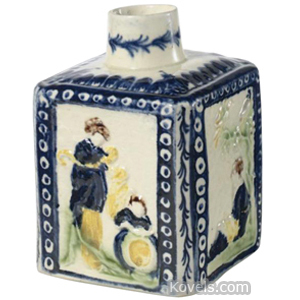 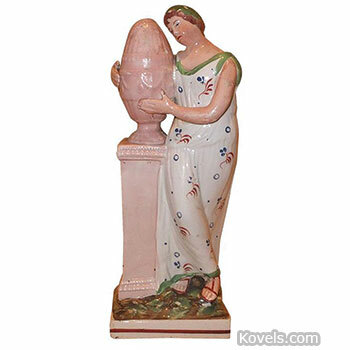 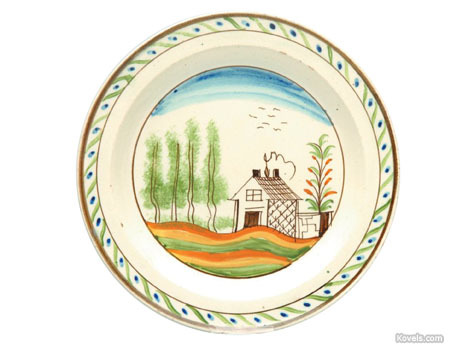 Pearlware is an earthenware made by Josiah Wedgwood in 1779. 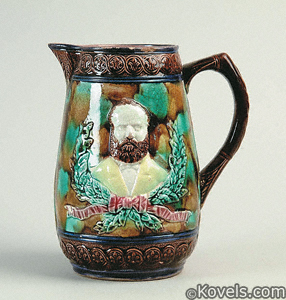 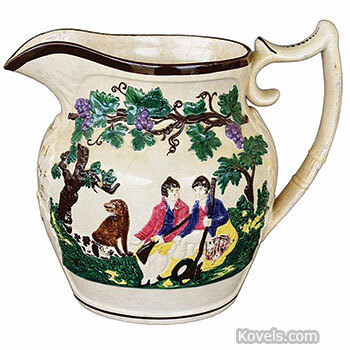 It was copied by other potters in England. 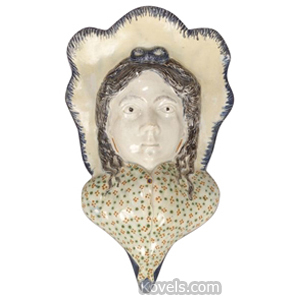 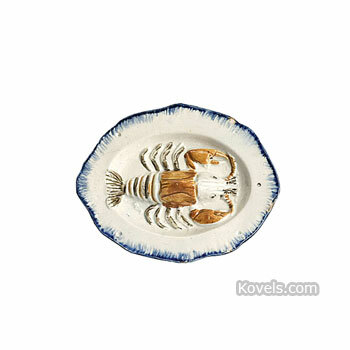 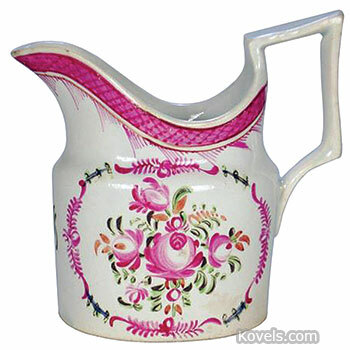 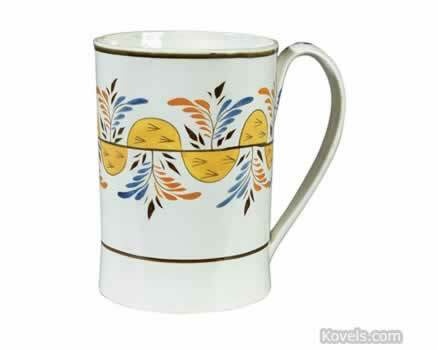 Pearlware is only slightly different in color from creamware and for many years collectors have confused the terms. 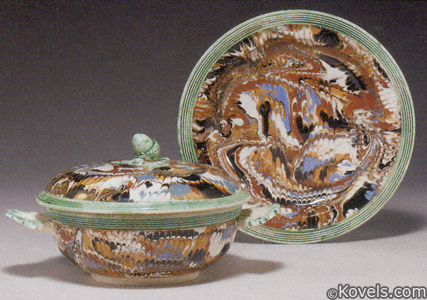 Only certain colors like blue, yellow, and green were used as underglaze painting for pearlware because materials for other colors could not stand the heat necessary to fire the glaze. 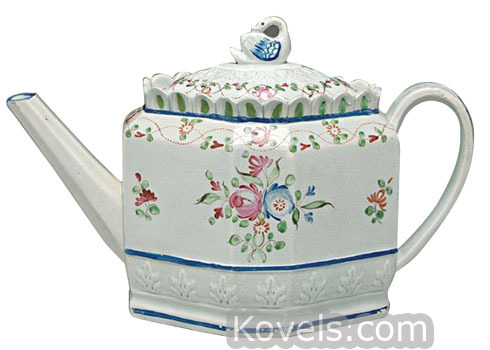 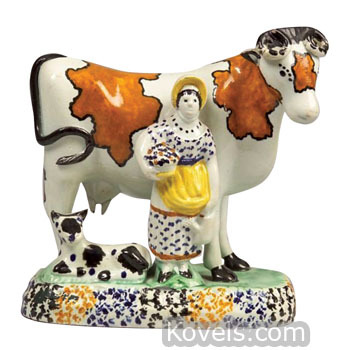 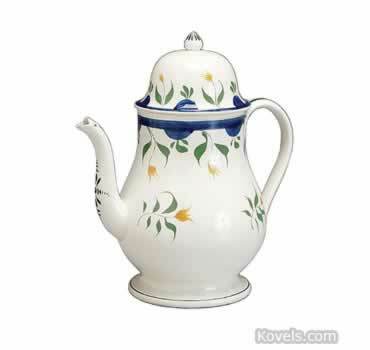 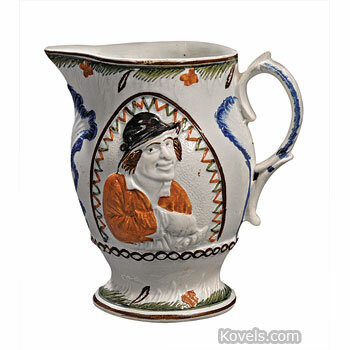 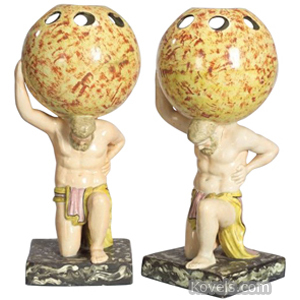 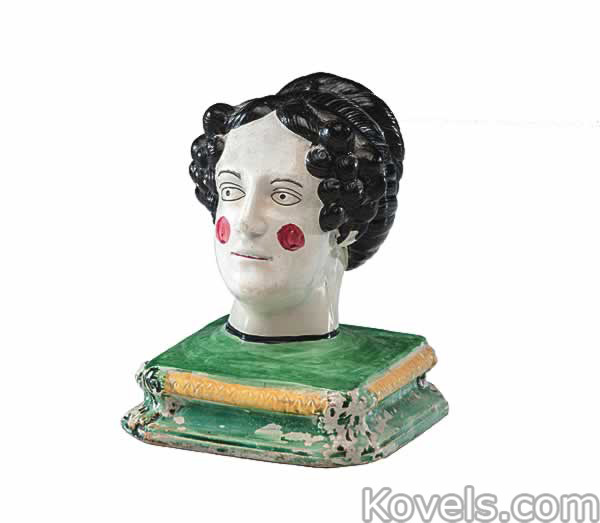 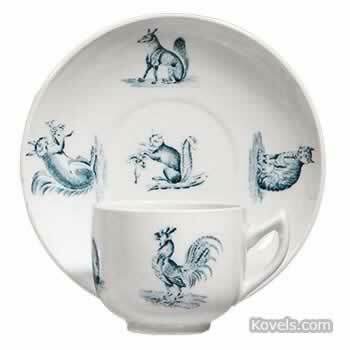 Wedgwood pieces are listed in the Wedgwood category. 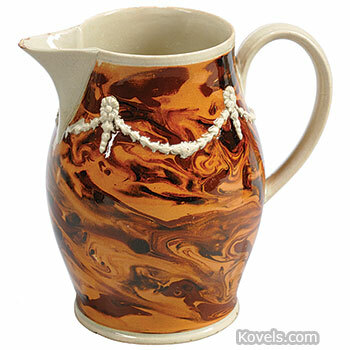 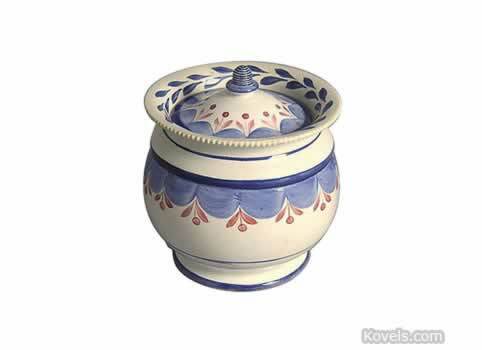 Most pearlware with mocha designs is listed under Mocha.